I should state upfront that although I like jazz, I’m far from an aficionado. I have the usual staples from Miles, Coltrane, Mingus, and a few others. I’ve enjoyed these albums a lot, but I haven’t listened to them enough to recognize the songs if you played them for me (except for Chet Baker and Billie Holiday). I have little ability to discern “good jazz” from “bad jazz”, I have no critical foothold on the music. I’ve liked pretty much everything I’ve heard. At best, I am a casual fan. Although it seems mostly in the hands of teen icons like Justin Bieber these days, the concert film is not yet dead. The festival film, however, appears to have vanished, despite some noteworthy landmarks like Woodstock and Monterey Pop. The material is out there… festivals like Coachella, Bumbershoot and SxSW continue to flourish. But perhaps the studios feel there’s not much demand for a film that features music from different artists, preferring to target a very specific audience. It’s a shame, because the variety of these films, and the capturing of the festival experience, can be wonderful tonics. Jazz on a Summer’s Day is the first festival film, presenting a small but immensely satisfying group of highlights from the 1958 Newport Jazz Festival. With a predominantly white, apparently well-heeled crowd, and set against the backdrop of the America’s Cup trials, it illustrates a time when jazz from transitioning from its bohemian margins to a more mainstream audience. It seems pointless for me to single out any particular performance. 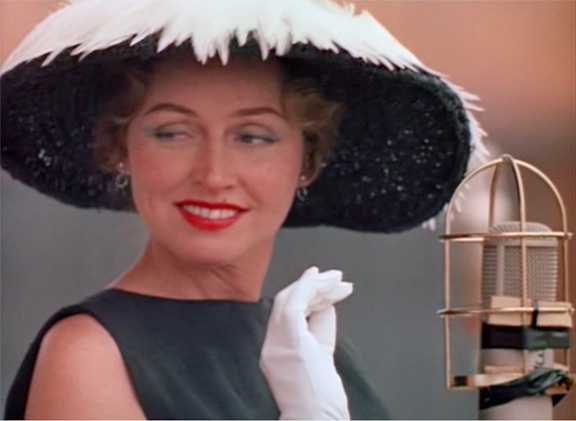 They’re all great, from Chuck Berry to Thelonious Monk to Anita O’Day to Jerry Mulligan and so on (the roster of artists from the festival not in the movie is astonishingly impressive as well… one wonders if they were filmed and what happened to that footage!). If I’m going to nitpick, I don’t really care much for gospel and would rather the movie not climax with Mahalia Jackson. In my opinion, it should have closed with Louis Armstrong, as the actual festival did. But this is truly picking nits, as Jackson’s voice is marvelous and ends the movie on a gentler note. The cinematography is extraordinary. Director Bert Stern was a fashion photographer with a gifted eye (his Marilyn Monroe shots are famous) and a magnificent talent for capturing faces. If the beauty of Stop Making Sense is its concentrated focus on the band, the beauty of this film is how it picks out audience members enrapt by the music, singing along, enjoying it with a partner, dancing, or just gazing with admiration. The shots of the artists are gorgeous as well, with Stern getting right up in their faces or their hands, sometimes shooting into the light to create beautiful images. This entry was posted on February 11, 2012 at 3:02 pm	and is filed under Movie Reviews. You can follow any responses to this entry through the RSS 2.0 feed. You can leave a response, or trackback from your own site.